Born on the 14th of June 1969, Donald John Trump is a real estate tycoon, business author, and candidate for President of the United States and television personality. Donald Trump founded the trump Entertainment Resorts and he also plays the role of president and chairman of the Trump Organization. Donald Trump is popular for his encouraging quotes some of which are extremely humorous too. He does not believe in moderation and learns most of his lessons from the past. 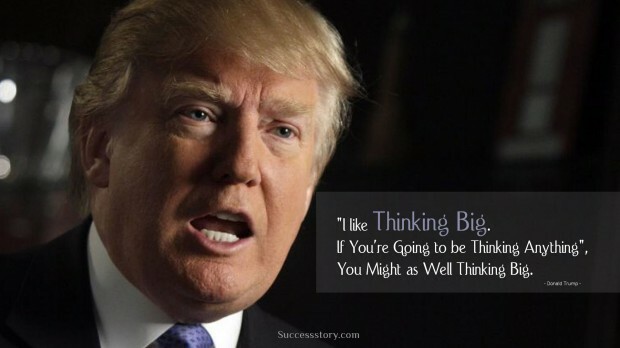 "I like thinking big. If you're going to be thinking anything, you might as well think big"
"Watch, listen, and learn. 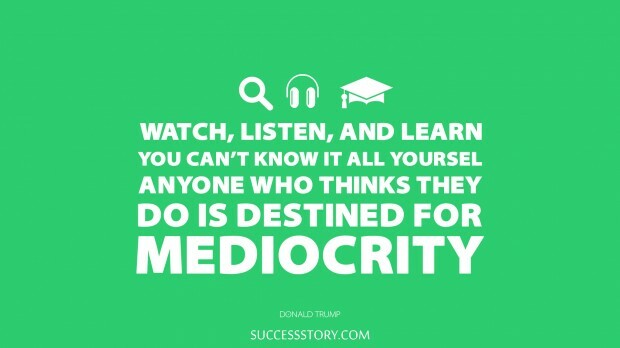 You can't know it all yourself.” “Anyone who thinks they do is destined for mediocrity"